Daytime social events are a tricky beast, dress-wise. You don’t want to look like you forgot that you weren’t going to the office that day, or that you’re six hours early for drinks and dinner. 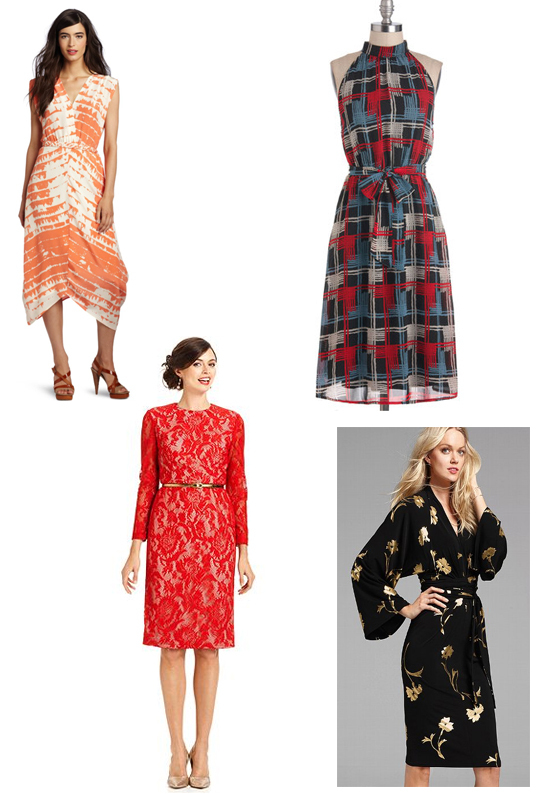 But daytime events are also a good excuse to get out of the LBD rut, wear a bright print, or go a little edgier. The daytime party I’m thinking of right now is the upcoming Spirit Awards ceremony and party. This event takes place on the beach in Santa Monica the day before the Oscars, and the party starts at about 11 a.m. There is a red carpet, and the ceremony itself is televised, so the people who need to be there per their publicists’ directives are definitely camera-ready. But in the background of the show there’s a fairly raucous party going on, with lots of open bars, sunshine, and the likelihood that you’ll be washing your hands next to Penelope Cruz in the porta-potties (true story). The dress code? Partly casual with a chance of high style. You can see some of the celeb looks from last year right here. I’m probably not attending this particular bash this year, but maybe you are (or a similarly fancy but daytime event). If you are going to the Spirit Awards, keep in mind that Jon Hamm is usually there. You are dressing for Jon Hamm. And yourself. But mostly for Jon Hamm.